The 2nd IN A SERIES OF DAVID BOWIE BOX SETS - RELEASED 23RD SEPTEMBER, 2016. CD, DIGITAL AND AUDIOPHILE VINYL BOX SETS FEATURE THE PREVIOUSLY UNRELEASED ALBUM 'THE GOUSTER'. 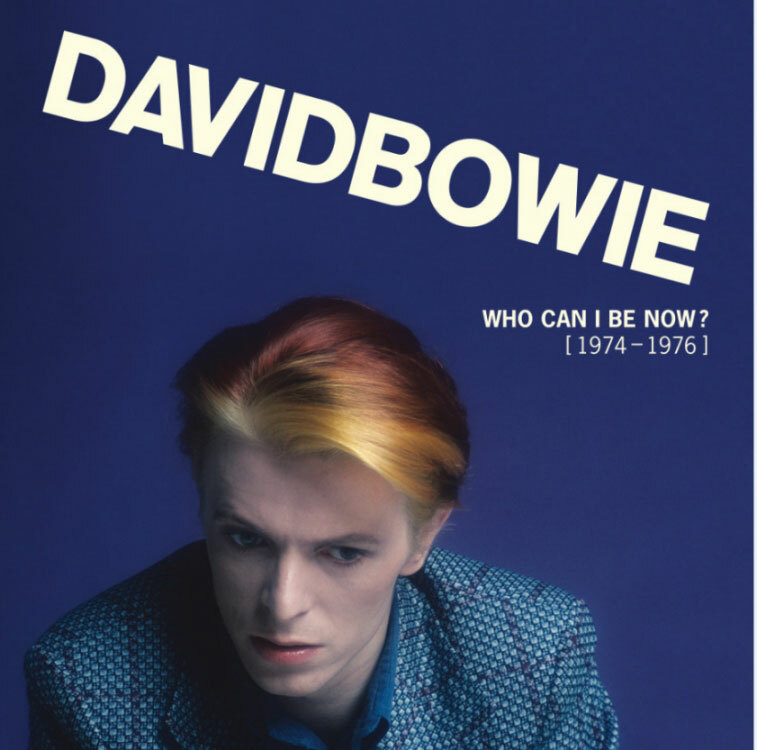 22nd July, 2016 London - Parlophone Records are proud to announce DAVID BOWIE 'WHO CAN I BE NOW? (1974 - 1976)' the second in a series of box sets spanning his career from 1969. The follow up to the awarding winning and critically acclaimed DAVID BOWIE 'FIVE YEARS (1969 - 1973)' will be released on 23rd September and will contain the previously unreleased album from 1974 called 'THE GOUSTER'. The twelve CD box, thirteen-piece vinyl set and digital download features the material officially released by Bowie during the so-called 'American' phase of his career from 1974 to 1976. The box set, which is named after a track recorded in 1974 but not officially released until the 1990's, includes 'DIAMOND DOGS', 'DAVID LIVE' (in original and 2005 mixes), 'YOUNG AMERICANS' and 'STATION TO STATION' (in original and 2010 mixes) as well as 'THE GOUSTER', 'LIVE NASSAU COLISEUM 76' and a new compilation 'RE:CALL 2' a collection of single versions and non-album b-sides. All of the formats include tracks that have never before appeared on CD/vinyl/digitally as well as new remasters. Exclusive to each of the box sets is the previously unreleased as a complete album 'THE GOUSTER' that was recorded at Sigma Sound, Philadelphia in 1974 and produced by Tony Visconti. The album was mixed and mastered before David decamped to New York to work with John Lennon and Harry Maslin on what became the 'YOUNG AMERICANS' album. 'THE GOUSTER' contains three previously unreleased mixes of 'Right', 'Can You Hear Me' and 'Somebody Up There Likes Me'. Also exclusive to the CD, vinyl, standard digital and MFiT box sets will be the remastered 'DAVID LIVE (original mix)', the 2010 Harry Maslin mix of 'STATION TO STATION' (previously only available on an audio only DVD in 5.1 and stereo as part of the 'STATION TO STATION' Deluxe box set in 2010) and 'RE:CALL 2'. This new compilation features the original single mix of 'Rebel Rebel', which has only featured on a 40th anniversary picture disc in 2014 since its original release on single in 1974, and a previously unreleased on CD Australian single edit of 'Diamond Dogs', the only place in the world that this edit was issued. Also appearing on CD for the first time is the single edit of the live version of 'Rock 'n' Roll With Me', which was issued to radio stations in the U.S. to help promote the 'DAVID LIVE' album. 'RE:CALL 2' features newly originated artwork with 1975 in-studio images from the 'STATION TO STATION' recording sessions by David's friend and backing vocalist Geoff MacCormack aka Warren Peace. The alternative cover for the 2010 mix of 'STATION TO STATION' by Harry Maslin, features the originally intended colour sleeve for the album that never got further than a few colour proofs and was replaced by the more familiar black and white image. The box set's accompanying book, 128 pages in the CD box and 84 in the vinyl set, will feature rarely seen and previously unpublished photos by photographers including Eric Stephen Jacobs, Tom Kelley, Geoff MacCormack, Terry O'Neill, Steve Schapiro, and many others as well as historical press reviews and technical notes about the albums from producers Tony Visconti and Harry Maslin. *Exclusive to 'Who Can I Be Now? (1974 - 1976)'. * Exclusive to 'Who Can I Be Now? (1974 - 1976)'. *Exclusive to 'Who Can I Be Now? (1974 - 1976). 1. Rock 'n' Roll With Me. 2. We Are The Dead. 5. Chant Of The Ever Circling Skeletal Family. 4. Sweet Thing/Candidate/Sweet Thing (Reprise). 4. All The Young Dudes. 2. The Width Of A Circle. 4. Rock 'n' Roll Suicide. 2. Rock 'n' Roll With Me. 1. Here Today, Gone Tomorrow. 1. The Width Of A Circle. 3. Rock 'n' Roll Suicide. 1. John, I'm Only Dancing (Again) - not on 'Young Americans', first released as a single in 1979 to promote the 'CHANGESTWOBOWIE' compilation. 2. Somebody Up There Likes Me - alternative early previously unreleased mix. 3. It's Gonna Be Me - not on 'Young Americans', first released as a bonus track on the EMI/Ryko edition of 'Young Americans' in 1990. An alternative mix with strings was released on the 2007 EMI edition of 'Young Americans'. 1. Who Can I Be Now? - not on 'Young Americans', first released as a bonus track on the EMI/Ryko edition of 'Young Americans' in 1990. 2. Can You Hear Me - alternative early previously unreleased version. 3. Young Americans - same version that ended up on 'Young Americans'. 4. Right - alternative early previously unreleased version. 1. Somebody Up There Likes Me. 3. Can You Hear Me. 3. Word On A Wing. 3. Wild Is The Wind. 4. Word On A Wing. 2. Waiting For The Man. 1. Rebel Rebel (original single mix). 2. Diamond Dogs (Australian single edit). 3. Rebel Rebel (U.S. single version). 4. Rock 'n' Roll With Me (live - promotional single edit). 5. Panic In Detroit (live). 6. Young Americans (original single edit). 1. Fame (original single edit). 2. Golden Years (original single version). 3. Station To Station (original single edit). 4. TVC 15 (original single edit). 5. Stay (original single edit). 6. Word On A Wing (original single edit). 7. John, I'm Only Dancing (Again) (1975) (single version).